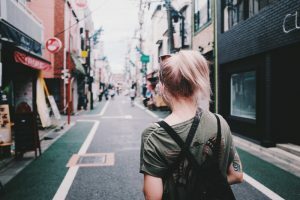 Bookimg.com has launched ‘Booking Experience,’ the local activity booking service, in Tokyo, following 40 countries and regions in the world. The booking system can be used only by users who book accommodations on Booking.com. After you book a hotel in cities available for local activities, you receive QR code with registered credit card information on e-mail. The QR code can be a passport for listed activities or a tool to buy tickets. A fast lane service or special prices are offered, depending on activities. The booking system, however, is not compliant to pre-payment and seat assignment, so local activities with full booking are not listed on the system. Local activities now available in Tokyo include tea ceremony, entertainment shows, day trip to Mt. Fuji, museums, attractions and so forth. Two weeks before checking in a hotel in Tokyo, a valid QR code will be sent to a booker. Booking.com is exploiting local activity contents in Japan, regardless of B to C or C to C. Looking for a possibility to make a partnership to increase contests, Booking.com plans to extend the service to Kansai area by the end of this year.